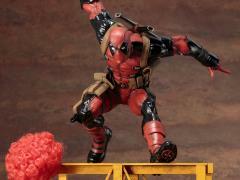 The Merc with the Mouth is back in action! 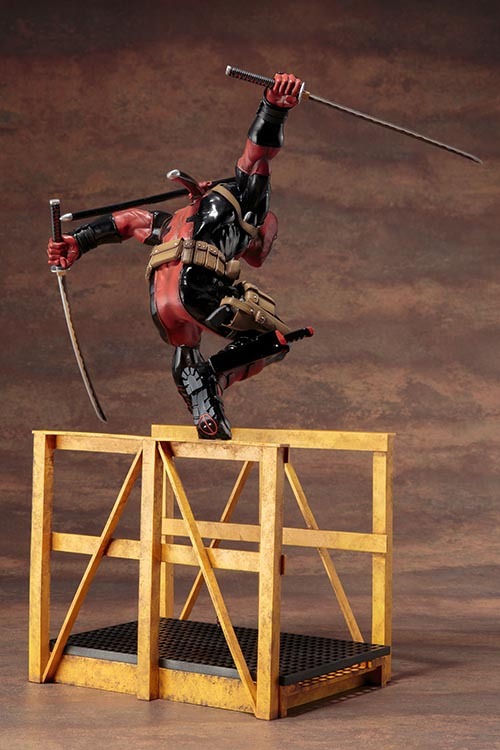 Kotobukiya presents everyone’s favorite Marvel antihero is joining the elite ArtFX Statue lineup with the sublime 1/6 scale Marvel Now! 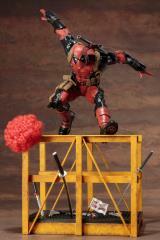 Super Deadpool! 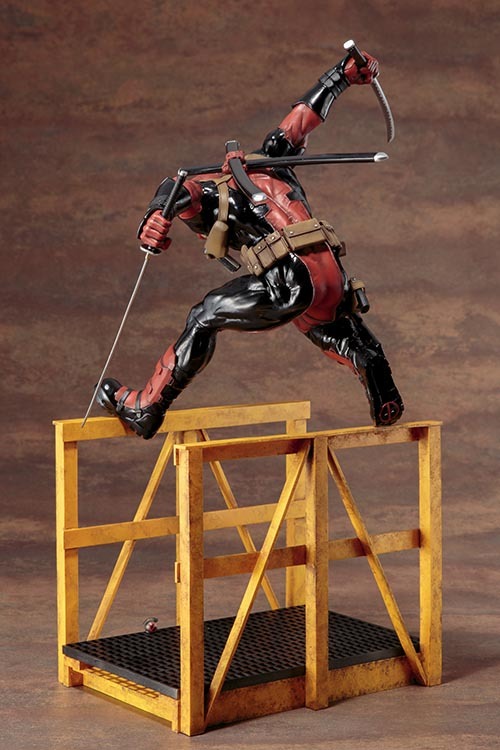 Formerly a member of the Weapon X program, Deadpool is a longtime assassin for hire and independent agent who’s worked alongside just about every superhero and villain from the Avengers to X-Men and everything in between. 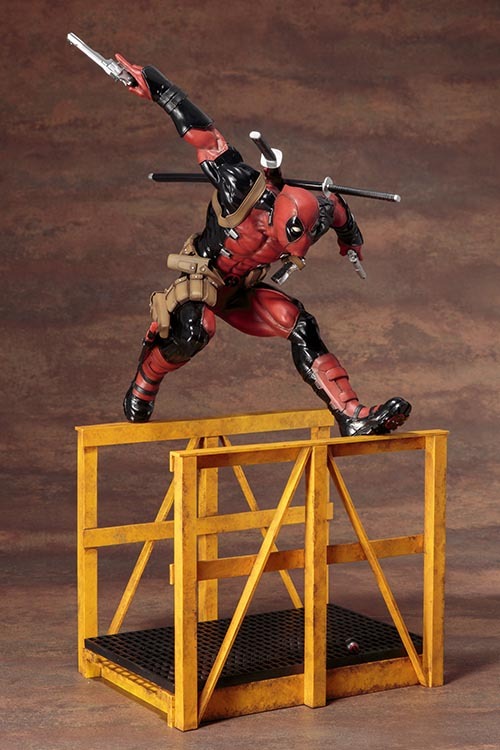 Now this Deadpool statue invades your collection as a statue that you can customize to your liking! 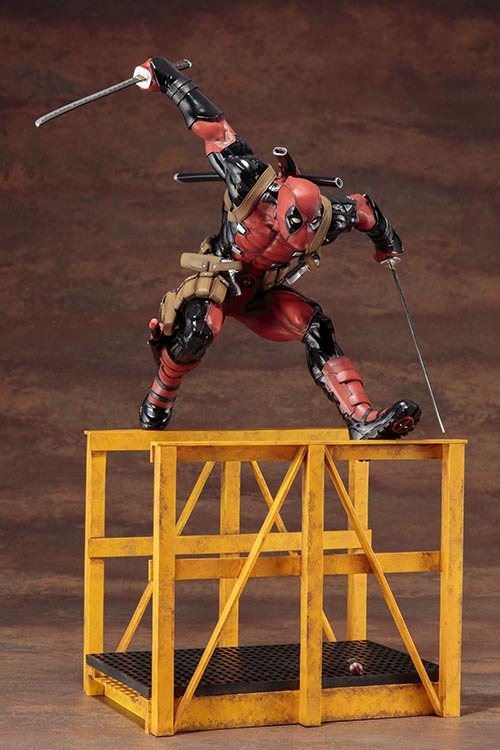 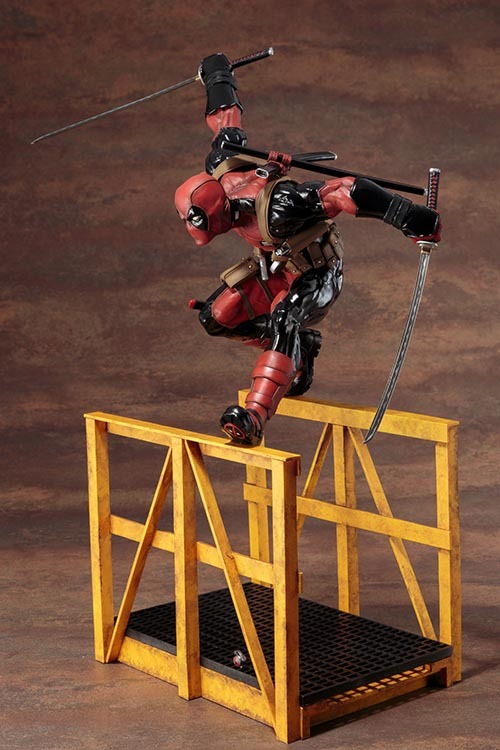 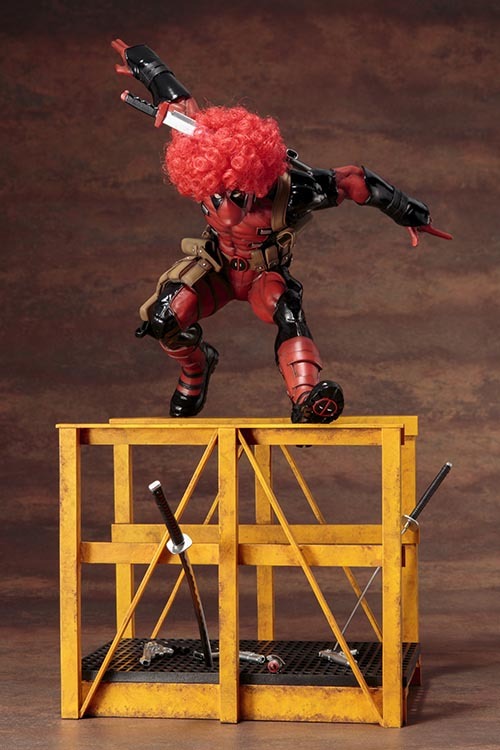 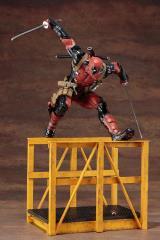 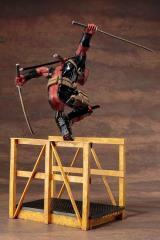 The Kotobukiya Deadpool is captured in mid-leap as he races across racks in a warehouse. 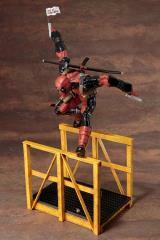 His action-packed pose has him kicking off with his right foot and just touching down on the next rack with his left. 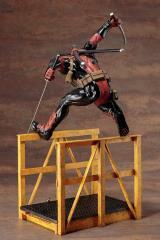 Deadpool has his arms spread out for balance and his head extended forward keeping his eyes on the prize. 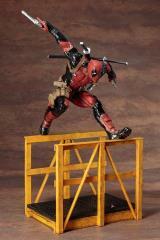 The costume is incredibly detailed, fully replicating its appearance from the Marvel Now! 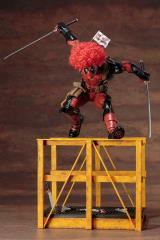 comics era. 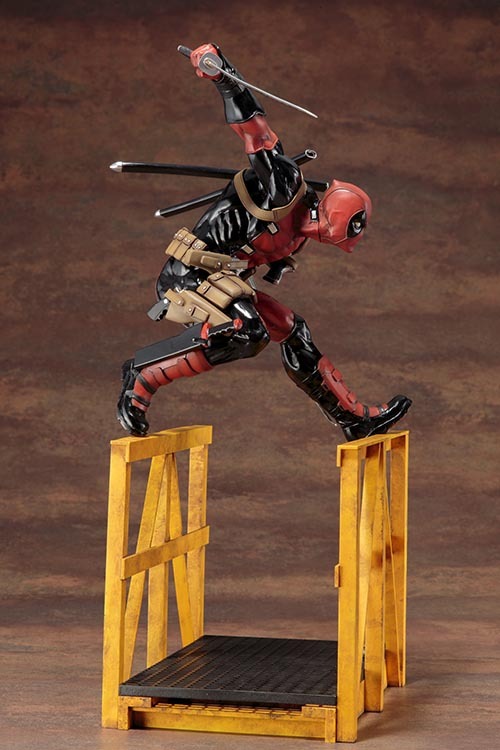 His red and black bodysuit has armored sections, seams, stitching, buckles, padding, mini Deadpool logos on the belt and the bottom of his shoes, and so much more. This ArtFX Deadpool statue includes a ton of weapons and accessories, like his signature katana, handguns, a grenade, a knife, flags, and even a puffy red circus clown wig! 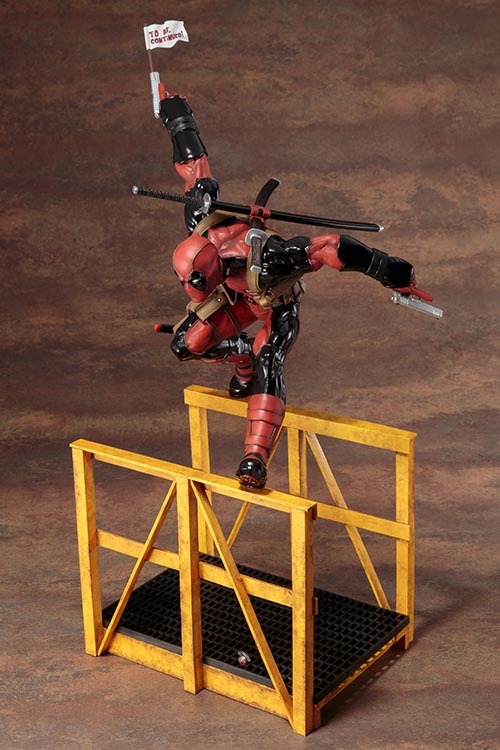 Sculpted by Junnosuke Abe, the stunning Super Deadpool is a towering 17 inches tall as he strides across the unique building features of this presentation. No matter how you choose to equip and display your Wade Wilson he’ll make a powerful statement in your Marvel Comics collection!